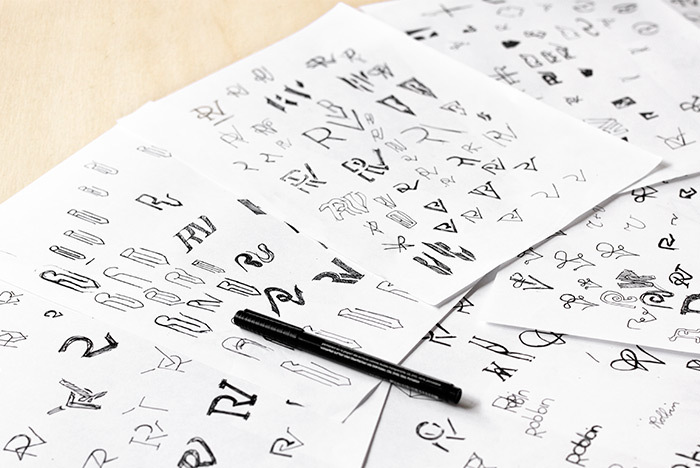 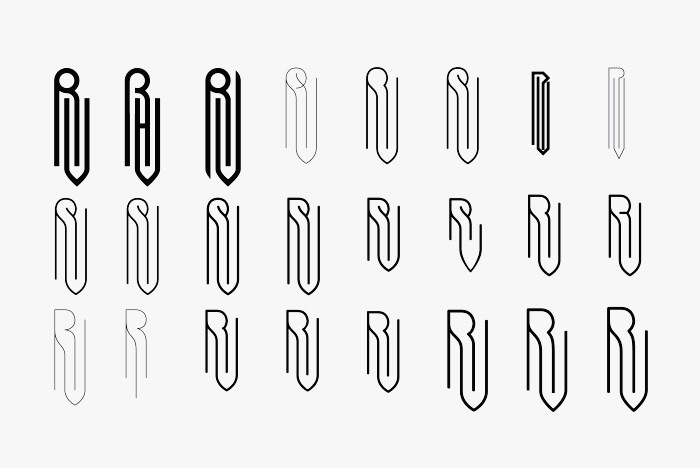 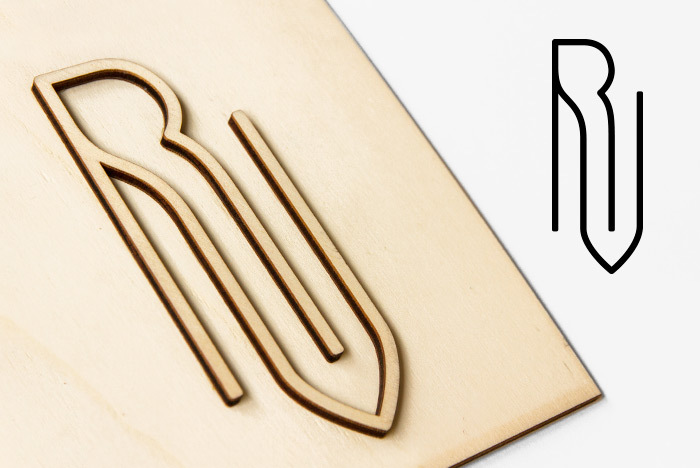 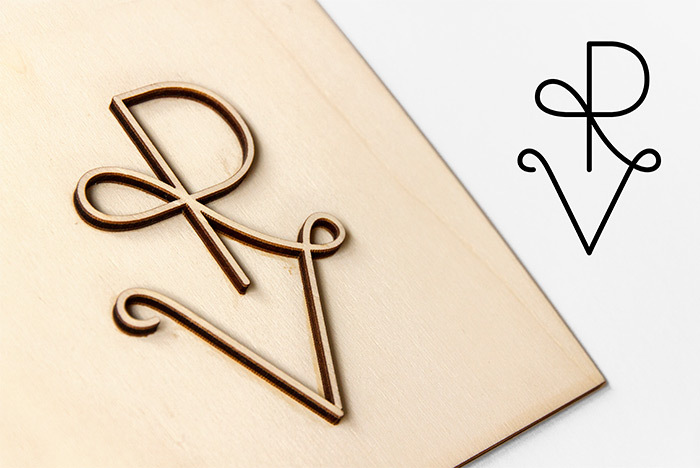 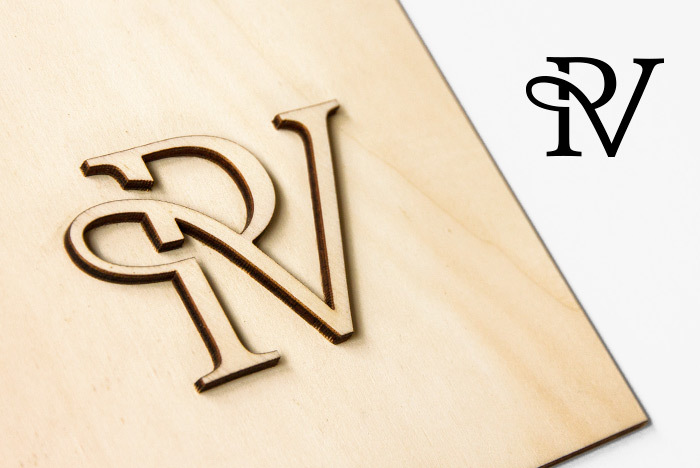 I have designed three different monograms consisting my initials RV. 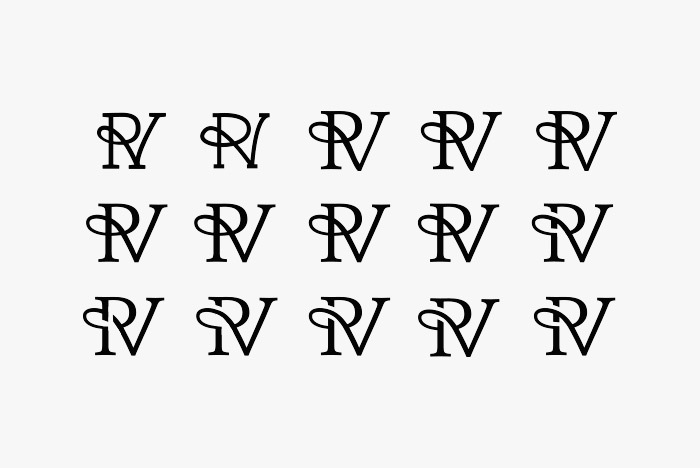 My goal was to achieve full readability of both letters and to form typographically balanced images. 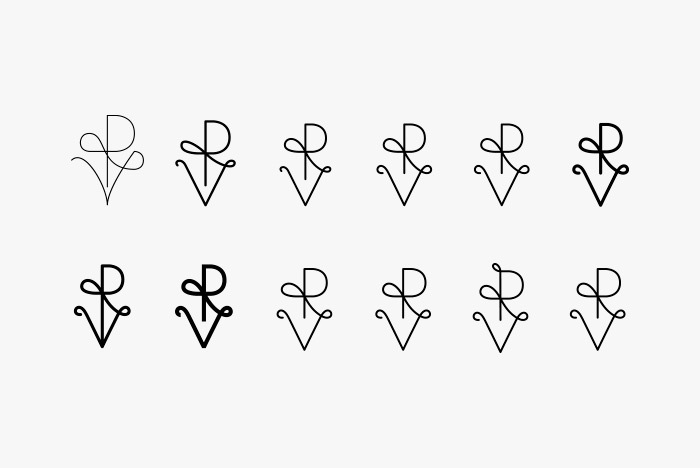 After countless sketches I’ve finally worked out three different designs.